Lewis, a social worker living in Hoboken, has written or edited eight books including Surrender When Leaving Coach and Learning from New Jersey. "For better or worse," he explains, he also initiated the New Jersey Poet Laureate position infamously occupied for a time by Amiri Baraka. This posting is an excerpt from Lewis's work-in-progress, "My Shaolin," a long poem about Staten Island written while commuting to and from work via the Staten Island Ferry. ("Shaolin," btw, is the name the Wu-Tang Clan gave to their hometown borough.) Hold on to your hats, dear readers; from "The Man with the Hoe" to streets, housing complexes, and schools now named in his memory, Markham's story is an amazing one. When I was a social worker at a Truancy Center a few years back, one of my duties was to contact the guidance counselors of students who were too often found warming up a seat in our detention center. One afternoon, I was on the line with a harried sounding counselor at IS 51 in Graniteville, also known as the Edwin Markham School. After discussing the student in question's shaky school attendance at length, I asked the official, "Do you know who your school was named after?" After a little bit of silence, he responded to my question with a question: "Wasn’t he a principal?" To most Staten islanders, the name Markham evokes images not of some well-liked school administrator but of the sort of urban squalor that many fled from in Brooklyn. The Markham Houses, located near my truancy center in West New Brighton, was the Island's own version of Chicago's Cabrini Green Houses. 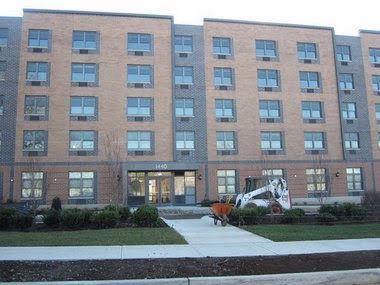 Originally built in 1943 for wartime shipyard workers along nearby Kill Von Kull, the Markham Houses were converted to public housing soon after the war. "There was a shooting here every night!" a coworker told me every time we drove past while she took me to the ferry. Eventually, the original Houses were torn down and replaced by Markham Gardens, a private development that proudly advertises its many amenities and a "green profile." 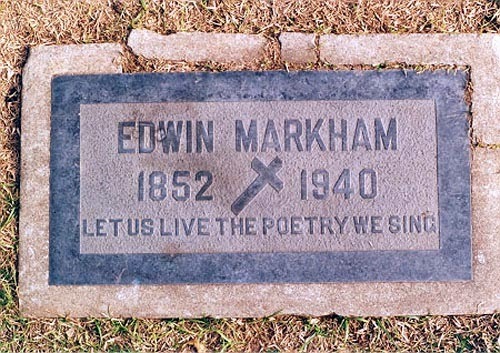 Although barely remembered today, except by local history buffs, Edwin Markham, from the time he moved to Staten Island to his death in 1940, was a cherished and revered figure on the island. 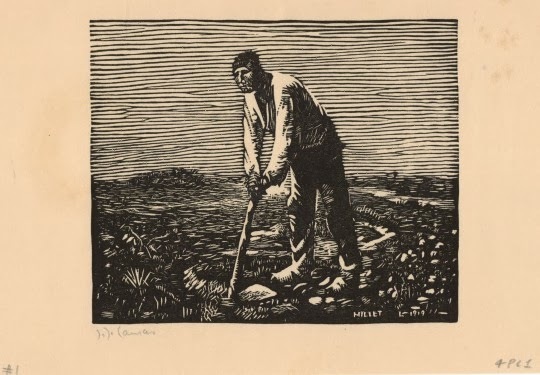 A few years before his arrival, he published a poem called "The Man with the Hoe" that catapulted him from the obscurity of a minor California poet to an international literary figure. 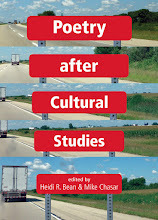 The poem, a semi-mystical plea for non-alienated labor with gentle overtones of both Social Gospel and Utopian Socialism, hit an American nerve in a period marked by labor unrest and a shifting national cultural character that was a result of both mass immigration and increasing urbanization. 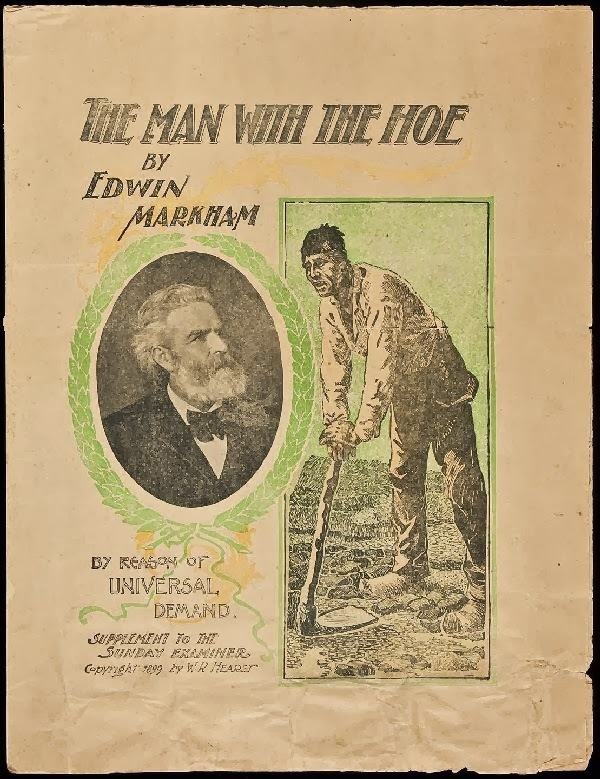 First published in the San Francisco Examiner on January 15, 1899, "The Man with the Hoe" was soon republished in thousands of newspapers across the country and was eventually translated into 37 languages. It became a topic of sermons and editorials in newspapers and was a topic under consideration in college debating societies. It spurred hundreds of parodies, and there was even a contest sponsored by a robber baron-type looking for a "response" to the poem's humanism. 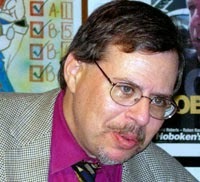 The poem's impact was not unlike that of Allen Ginsberg's "Howl" some 55 years later; in the earlier part of the 20th century, "The Man with the Hoe" was a poem that many knew and could often recite from memory, especially the opening stanza as it was taught in secondary schools during a period when the pedagogy favored the memorization of poems. The fees from the publication of the poem made Markham a rich man. He earned even more money lecturing around the country; he was a favorite of labor groups as his talks were free of socialist cant and could reach a potentiality sympathetic middle-class audience. Markham's popularity also owed something to his modest background in an era when most major American writers came from upper class New England and attended Ivy League schools. Born in the Oregon Territory in 1852, Markham moved with his mother and siblings to rural California at age four. No doubt his early labors as a ranch hand helped form his hatred of drudge work and set in motion his plans for self-improvement. Against his mother's wishes, he attended college, earned a teacher's certificate, and began a career as an instructor and a school administrator. 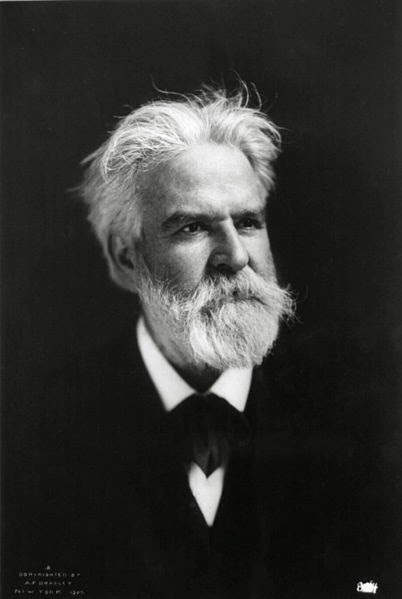 By the 1880s, he began placing his poems in local magazines and sought out Hamlin Garland and Ambrose Bierce as mentors. For the next 13 years, Markham worked fitfully on the poem, but "the cares of the world swept in" and the poem remained unfinished. In 1898, Markham settled in Oakland, California, to take a position at the Observatory School at UC Berkeley. During summer break, he came upon his unfinished draft of "the Hoe-poem" and with his new wife's encouragement, he continued on with the work. 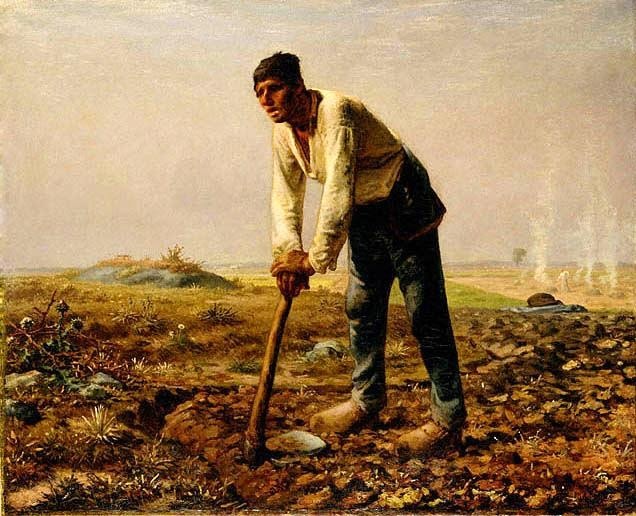 During his Christmas break of that same year, while on a trip to a San Francisco art museum, Markham finally got an opportunity to see Millet's masterpiece in person. It was recently purchased by a wealthy San Francisco family and was on display in the U.S. for the first time. The poet stared at the painting for over an hour then returned back to Oakland and began writing the final version of the poem. "All the stanzas seemed to me more like gifts than creations," he wrote, suggesting the ultimate version of the poem came to him in something like a vision. Markham's version of Ginsberg's Gallery Six reading was a San Francisco New Year's Eve party held at home of Carrol Carrington, a close friend of Ambrose Bierce. Given that the room was filled with "literary autocrats of the Far West," guests were asked to read something. As it was New Year's Eve, most read something light-hearted or humorous. Markham pulled out his typed copy of his cri de couer and read it. Bailey Millard, editor of the Examiner, was in the audience and declared, "That poem will go down the ages!" He then asked to print the poem, promising he would run it in a conspicuous type, in the middle of the editorial page, along with an editorial praising the poem. By the end of the year, Doubleday published Markham's first book Man with the Hoe and Other Poems. William Jennings Bryan noted, "There is a majestic sweep to the argument, some of the lines pierce like arrows." However, the acerbic Ambrose Bierce was less convinced: "As a literary conception it has not the vitality of a dead fish. It will not carry a poem of whatever excellence through two generations." In the wake of the success of his "hoe-poem," Markham moved to the East Coast to commence with a full time career as a literary man. He first settled in Brooklyn but came to the Westerleigh section of Staten Island, living most of his life at 92 Waters Avenue in a house that still stands. Markham's long white beard and equally long white hair made him stand out in a community mostly involved in the maritime trades. Despite his national celebrity, he never turned down an invitation to speak before local groups. In turn, the community made his April 23rd birthday a school holiday, with groups of schoolchildren coming to his home to cover his lawn with flowers. He frequently entertained guests at his home; special guests were invited to his enormous library, which he referred to as "the piggery." 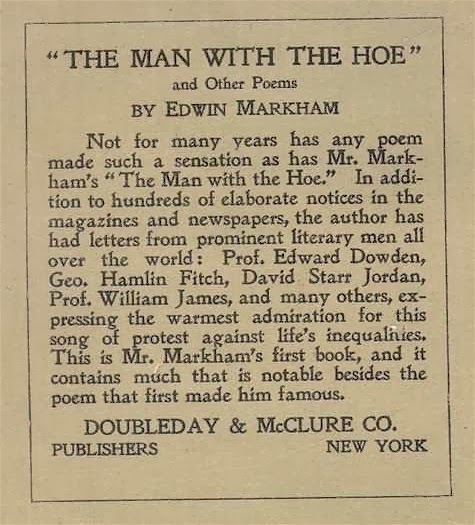 Markham's literary output following the publication of "The Man with the Hoe" was relatively small in an era when there was a paying newspaper and magazine market for poetry. This trickle of poesy was a reflection of his busy life on the lecture circuit. 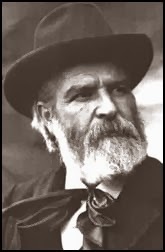 He was also involved in the promotion of poetry itself and in 1910 helped found the Poetry Society of America and gave much of his time to promoting the organization. 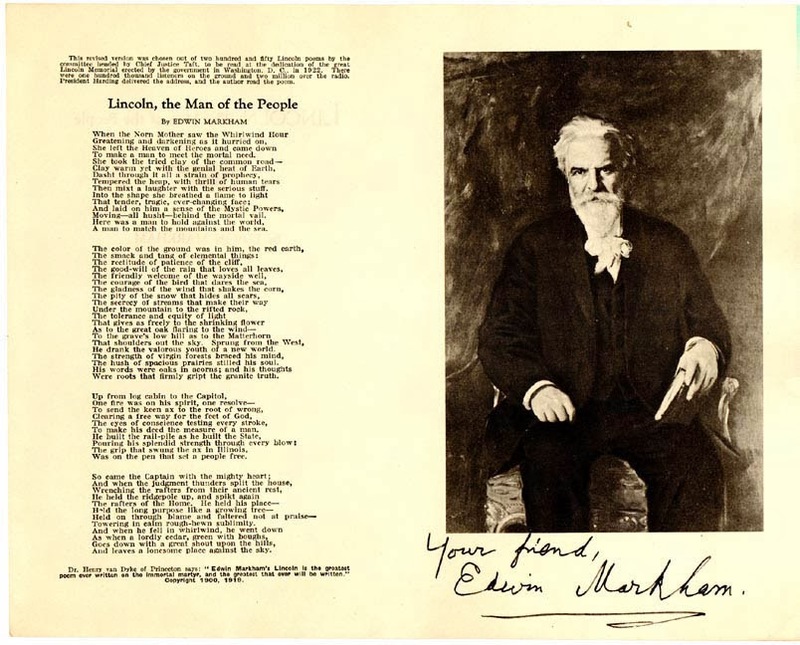 Markham emerged once more in the public view in 1922 when Chief Supreme Court Justice William Howard Taft invited him to read his 1901 poem, "Lincoln, A Man of the People," at the dedication of the Lincoln Memorial. The ceremony was broadcast on radio, and it marked the first time a program was carried simultaneously on a network of stations. A few months later, the Lee De Forest Studios issued a four-minute film using his pioneering sound-on-film Phonofilm process to show Markham reciting the poem in a recreation of the event. Markham's literary reputation declined with the emergence of Modernism. 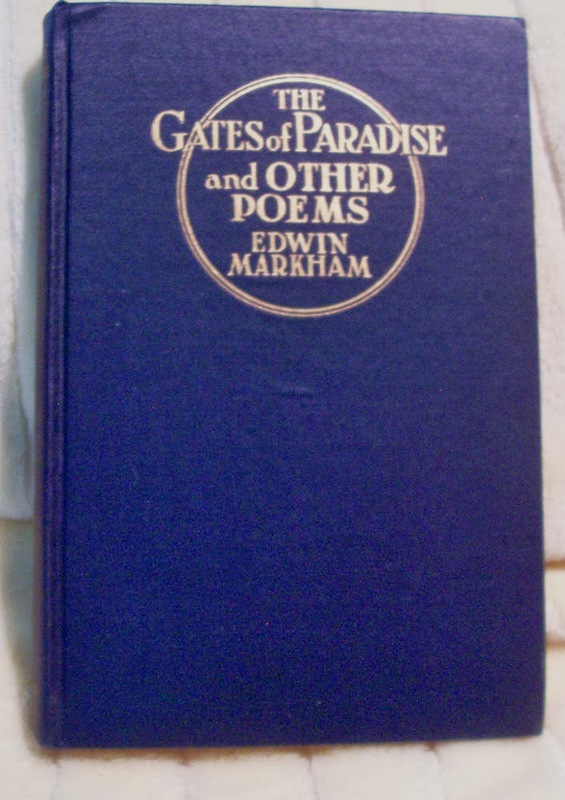 In reviewing his 1920 volume The Gates of Paradise and Other Poems, Herbert S. Gorman wrote, "Markham became a poet when he wrote 'The Man with the Hoe' and when he penned the last line he ceased to be a poet." Ouch. Such critical opprobrium didn't prevent Markham from being elected to the National Institute of Arts and Letters or from attending his 80th Birthday celebration held at Carnegie Hall. The audience, which included President Herbert Hoover and delegates from 35 nations, honored his accomplishments and proclaimed him one of the great artists of his era. Markham died in 1940 after some years of declining health following a stroke. 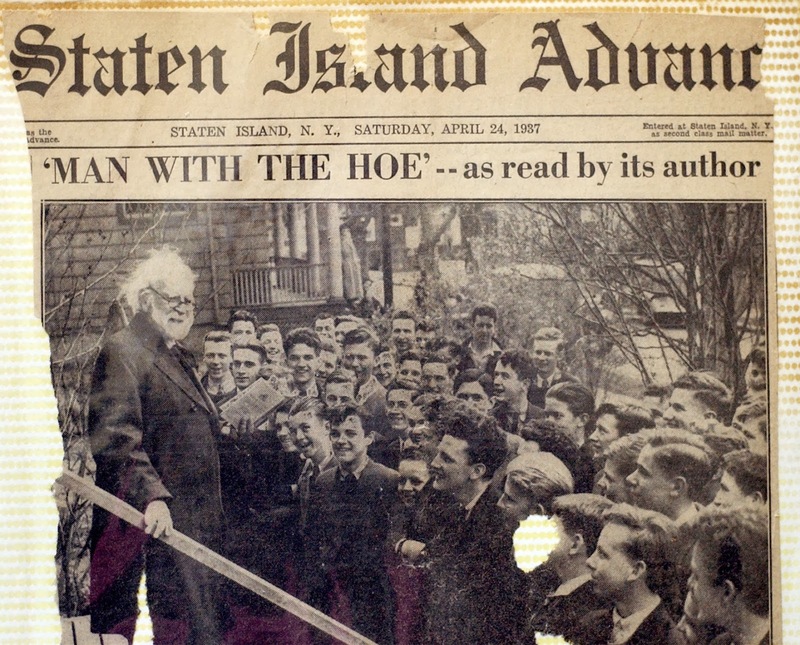 He willed his 15,000-volume library and his papers to Staten Island's Wagner College. 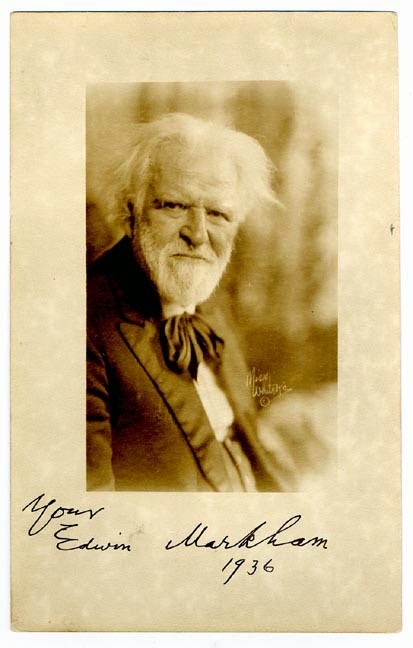 The college library is in the process of making his over 6,000 letters available online and has been the primary source for the small trickle of Markham scholarship, which includes both a dissertation that was a critical biography of the poet and a volume of uncollected writings. There has never been a collected poems issued of Markham's work. Despite his invisibility in American literary history, Markham's life and work still linger on the fringes of social culture. In Staten Island there are streets named Markham Court, Markham Drive, Markham Lane, Markham Road and Markham Place. And Staten Island parents bring their children to the Edwin Markham Day Care Center. Additionally, there are five schools named after him in California, with one school each named after him in Oregon, Washington, and Pennsylvania. Amazingly, Markham's legacy continues into the twenty-first century. 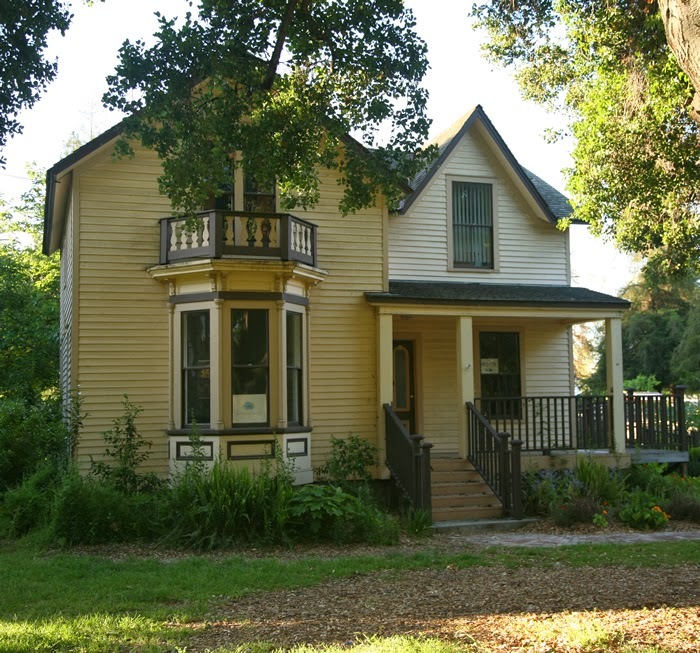 In 2002, his residence in San Jose, California, was moved from its original location across from the state university to the grounds of the city's History Park. The refurbished building became the home of the city's Poetry Center, and attendees at the dedication included then NEA chair Dana Gioia, San Francisco poet Jack Foley, and Francisco X. Alcaron, then California's poet laureate. The Markham House has a library of over a thousand books, something the poet would have certainly approved of. And to make sure that Markham doesn't suffer the fate of becoming an anonymous name on a public building, there is an exhibit that includes artifacts of the poet's life including his cane, copies of his books, and a signed copy of his ekphrastic big hit, "The Man with the Hoe." It was a Florida man named Shawn McAllister who willed Markham's artifacts to the House’s parent organization, History San Jose, feeling that his collection had found a permanent home at History Park.